This lovely, one-bedroom Barcelona apartment is ideal for those wishing to be only steps from the beach and the beautiful marina, while remaining just a short metro ride from the city center. 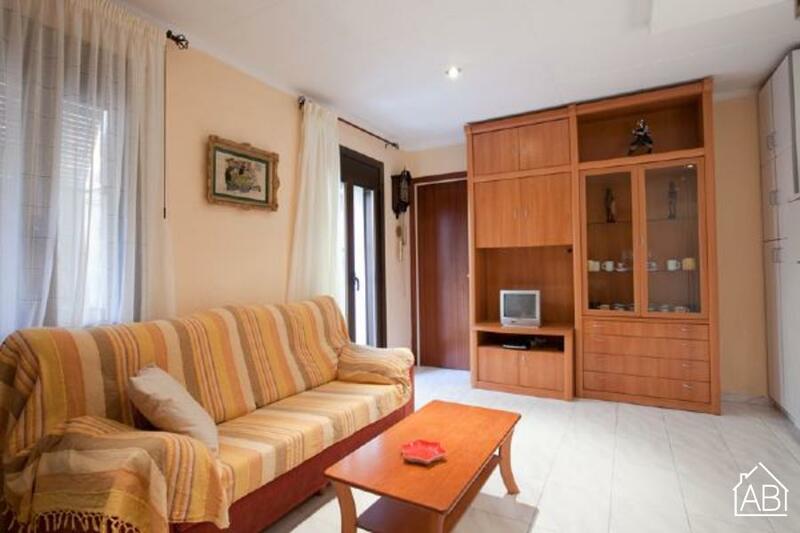 The living room has a sofa bed, and access to the balcony overlooking a typical street in the Barceloneta area. The bedroom has a double bed and plenty of storage space for all your belongings. The kitchen is fully equipped with all of the appliances and utensils you would need to prepare your home-cooked meals, and there is also a wooden dining table where you can sit down to enjoy them. The bathroom is tiled and has a walk-in shower. This fantastic apartment in Barcelona is also equipped with a washing machine and an iron for your convenience. This homely apartment accommodates up to four people in total.